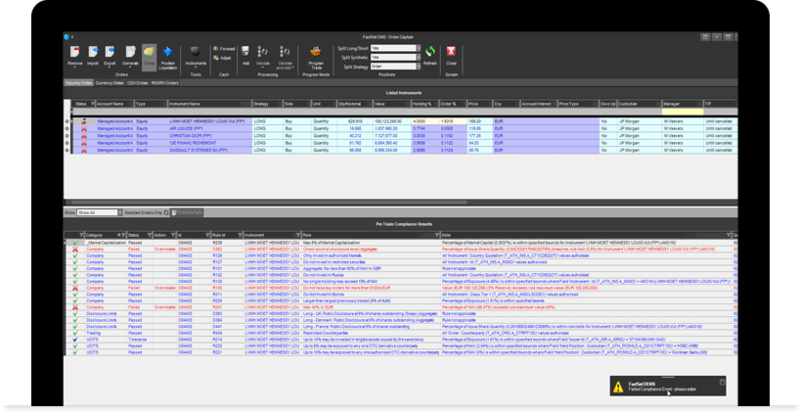 Execute trades with the leading order management and execution management systems, unique content, and artificial intelligence. Make informed decisions faster, trade more efficiently, and manage compliance so you can increase performance and reduce operating margin to compete with passive investment products. Create orders and execute multi-asset class trades in FactSet’s Order Management System (OMS) and Execution Management System (EMS). FactSet trading solutions, powered by Portware Intelligence, combine best-of-breed order management and execution management with FactSet's robust, accurate data. Maintain compliance in every trade. Access message-based and rules-driven order management and compliance before, during, and after trades. Pre-trade compliance checks for the correct portfolio composition, rules, and engagement around trading instruments. Let at-trade compliance determine if you have reached an exposure limit with a counter-party, while post-trade compliance checks ensure your accounts are settling properly and your holding compositions do not violate fund concentration rules. The front office is undergoing a technological transformation. Download our latest guide to what your firm needs to do to remain competitive. Automate trades to perform at scale. Markets move at machine speed, and it’s not possible to manually keep up with every trade. FactSet trading solutions automate trades by using rules-based automation to help your firm achieve performance at scale. Reduce the burden of managing straightforward, uncomplicated trades and empower your team to focus on more difficult or otherwise sensitive orders. Watch your OEMS learn how to trade like you. Optimize algorithm selection based on your specific order trends, monitor hundreds of factors in real-time, adjust strategies to match market conditions, and your EMS will leverage machine learning to trade as you would. Get real-time alerts based on what the trading system observes in the market, leaving full control in your hands. 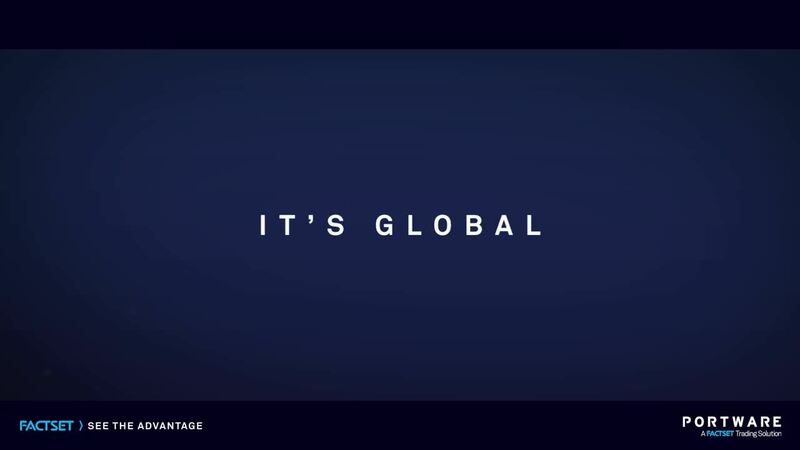 Get a real-time, aggregated view of the entire foreign exchange marketplace through a single, fully customizable, broker-neutral front-end. 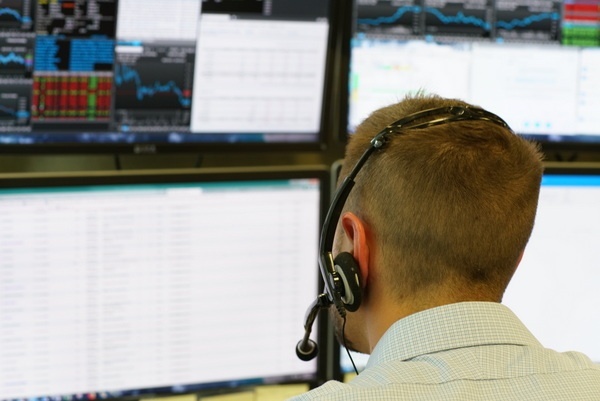 FactSet aggregates liquidity from global providers, including banks, electronic communication networks, and interdealer platforms, to bring foreign exchange traders a full range of strategies and order routing destination options. Not only can you see your entire depth of book, but liquidity providers know to whom they are sending prices, thanks to true, relationship-based electronic FX. Integrate market data and analytics with your OEMS. 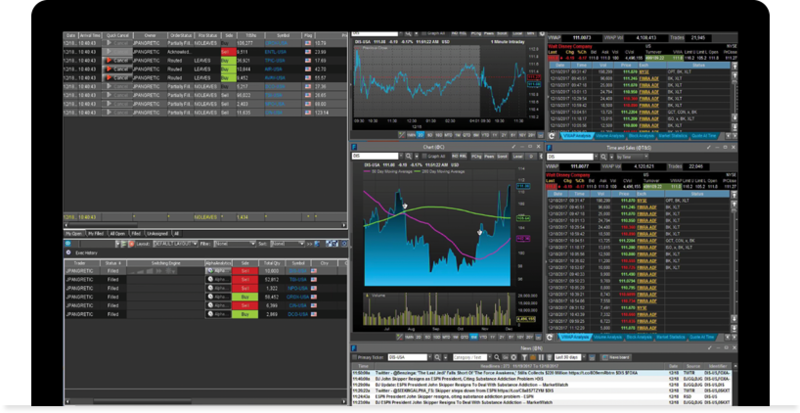 Access robust market data, watch lists, portfolio-specific liquidity analysis, charting, StreetAccount news, morning reports, and other unique content through full integration between FactSet data and FactSet Trading Solutions. Strengthen the FactSet solutions deployed at your firm, including portfolio analysis, risk analytics, attribution, and more, with real-time trade data from the OMS and EMS. 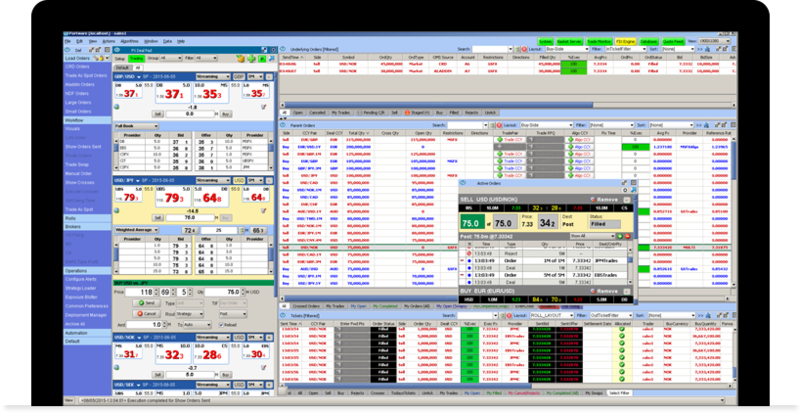 Customize your trading system to support your unique processes. 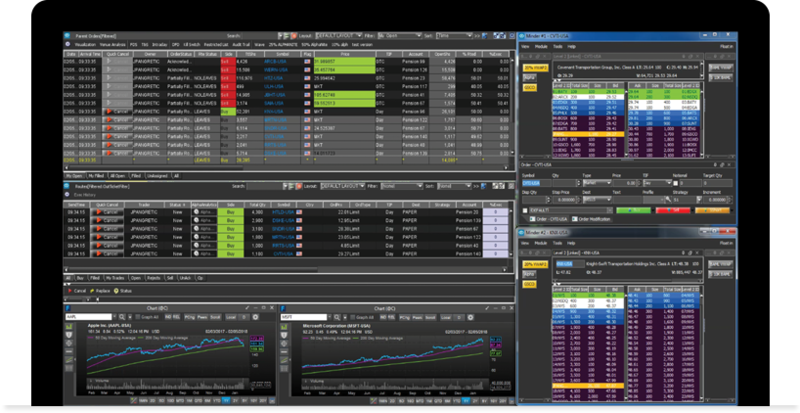 Gain a fully customizable trading solution that features flexible deployment options, comprehensive market data support, and multi-asset class capabilities. 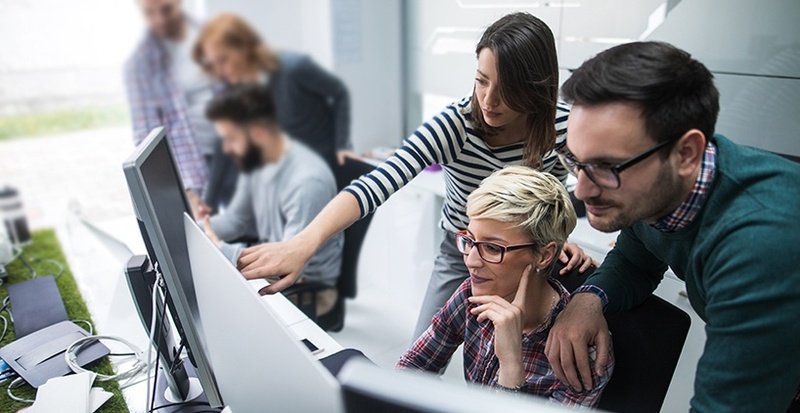 Connect to the applications and data providers you need through our flexible hosted- or cloud-based options. Integrate with any industry or proprietary trade workflow applications via open API and access any custom or proprietary feed through pre-certified adapters for all commercial market data providers.